China Tries Website Editor For Refusing to Comply With Delete Request - Integration Through Media ....! Xu Hua pleaded not guilty to the charge at his Oct. 10 trial at the Jiangyang District People’s Court in Sichuan’s Luzhou city. His lawyer says Xu’s trial was the first since amendments to China’s Criminal Law were made in 2015. “The trial ended without a verdict being announced, and Xu faces up to three years in prison if convicted,” the Chinese Human Rights Defenders (CHRD) network reported. Xu stands accused of failing to implement a directive from his local branch of China’s powerful Cyberspace Administration, ordering the deletion of 12 “politically harmful” posts on the website he administered, the China Wine City Forum, in August 2016. “Xu refused to delete the posts, which referred to late supreme leaders Mao Zedong and Deng Xiaoping, saying they contained information widely available in the public domain,” the overseas-based CHRD said. Xu was reportedly called in for a “chat” with the local internet police, and told to correct his omission, but he refused point blank to comply with the directive. His refusal to comply had “led to the widespread dissemination of 12 illegal articles,” the prosecution said. The indictment took into account the number of times each of the posts had been viewed, dating back to before the law was amended. Xu’s defense attorney Ran Tong said he had argued in court that Xu shouldn’t be retroactively punished for actions he failed to carry out before the law was changed. Xu was initially detained on Aug. 22, 2017 and formally arrested the following month. Prosecutors issued his indictment on March 22. He is currently being held in the police-run Luzhou Detention Center and faces a maximum jail term of three years under amendments to the Criminal Law adopted in 2015. 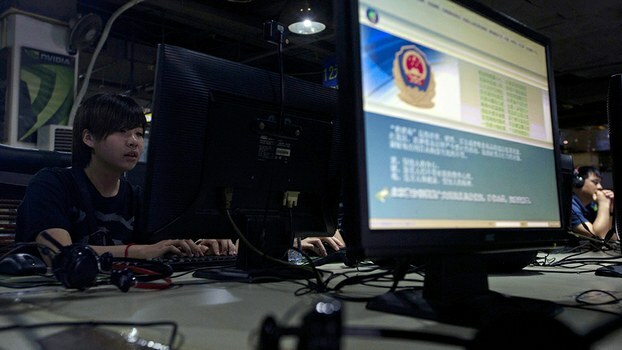 Earlier this month, China’s Ministry of Public Security also issued a set of new rules empowering police to enter and search the premises of any internet service provider at any time, and to perform inspection of their equipment. “Public security departments [police] should conduct supervision and inspection of internet service providers and users in accordance with requirements to manage online security risks, the rules state. “Police may operate under the instructions of [the internet police] to enter business premises, computer rooms and workplaces, to explain, review, and copy any information related to internet security and inspection work,” the directive said. “They may also take technical measures related to network operations and online security,” it said. An online activist surnamed Liao said the move is evidence of an ever-widening clampdown on all forms of online expression. An internet user surnamed Wang from China’s northeast said tight controls of China’s internet show that the government has scant respect for human rights.